This planting and paving project took place in the garden of a bungalow on the Western Edge of Perth. The existing garden was mainly laid to grass with a significant slope. 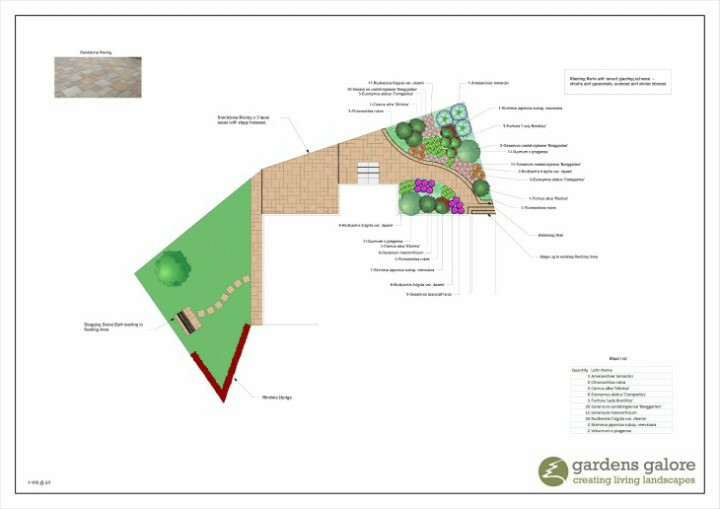 The client wanted us to add interest to the garden using different levels of paving and planting. The garden also needed to be low maintenance and wildlife friendly. Autumn bronze sandstone slabs for practicality and to complement the stone used on the property. Walling and steps to match property. 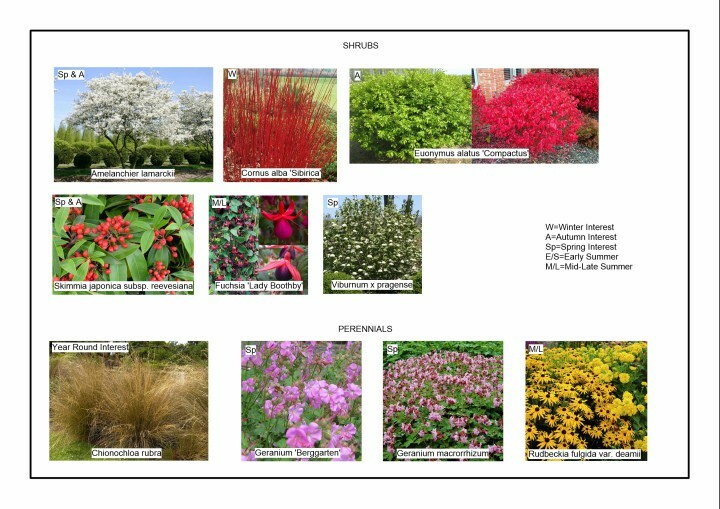 A planting plan to provide colour and interest throughout the seasons. New paved areas were constructed on two levels with steps between using sandstone. A curved retaining wall was constructed to create a large raised border at the rear of the property. A smaller border was created next to the property and edged with sandstone blocks. New matching steps were constructed at the conservatory door and leading to the existing decking. A stepping stone path was laid to a small seating area. The smart new paving around the property has transformed the garden and the walls add definition and height. The sweeping raised bed and borders were planted to attract wildlife and provide year round interest. We were very pleased with the team from start to finish. The initial meeting was arranged quickly, helpful advice was given and the quotation and detailed plans arrived promptly. The landscapers worked very hard and we were most impressed by the standard of their work and their positive attitude throughout. The project was finished a day ahead of schedule and the site was left spotless. Highly recommended.